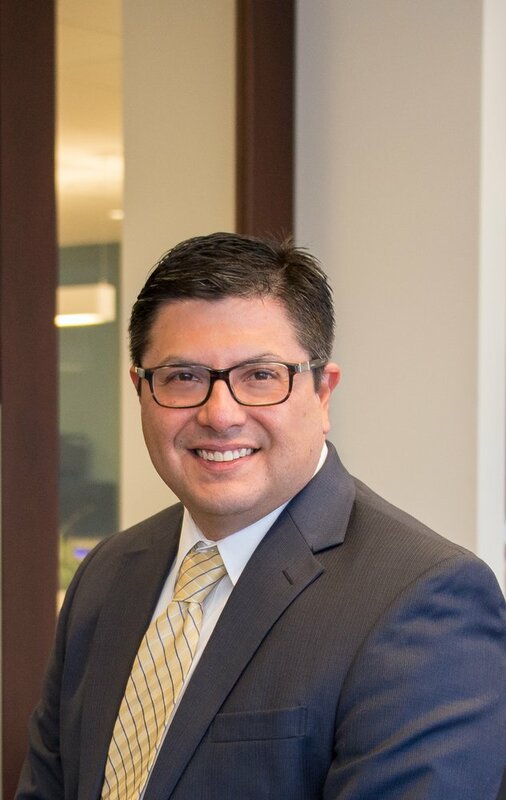 Daniel R. Gamez, an attorney focusing exclusively on debt relief, is licensed to practice in all state and federal courts in California and Texas. Serving clients nationwide and with offices in San Diego and Los Angeles, California. Daniel is a member of the State Bar of California, State Bar of Texas, San Diego County Bar Association, La Jolla Bar Association, North County Bar Association, San Diego Bankruptcy Forum, San Diego Chamber of Commerce, the Better Business Bureau, Bird Rock Elementary Governance Team, group leader for the Mission Valley (Devry) Business Alliance Group and a number of other business and social networking organizations. Daniel has accumulated a wealth of litigation experience. During law school, he clerked with in-house counsel for a major Texas insurance company defending claims ranging from workers’ compensation claims to wrongful death cases. Selected as an intern with the 1st Court of Appeals, Houston, TX after completing just one semester of law school, Daniel wrote a legal memorandum for a three-justice panel and participated in oral argument and post-oral argument deliberations. His memorandum, later published as binding law in Texas State Courts, is a decision often cited on the issue of determining whether non resident defendants are subject to the jurisdiction of Texas courts. In 2005, Daniel accepted an offer to work at the San Diego law firm of Pite Duncan, LLP. There he represented many of the nation’s leading mortgage investors, lenders and services including Fannie Mae, Freddie Mac, Bank of America, GMAC Mortgage, Wells Fargo and others. He focused on foreclosures, evictions, creditor lawsuits and creditor defense litigation. After six years at Pite Duncan, where he learned the internal workings of banks, Daniel decided it to was time leverage his experience to make a positive impact on a more personal level. He returned to his passion of helping people in distressed situations. With his many years working from a lender perspective, he brings a unique negotiating advantage to debt settlement for his clients. In 2011 Daniel took a position at McCarthy Law, PLC where he focused on debt settlement in San Diego. He enjoyed all aspects of the debt settlement process, from the first steps, seeing the sense of relief his clients experience upon retaining him, all the way to sharing the joy and freedom his clients feel when their debt is eliminated. In the summer of 2013, Daniel Gamez realized his dream of opening his own law practice, The Gamez Law Firm. As a debt relief lawyer in San Diego, Daniel provides services for a variety of clients experiencing all types of debt problems including debt lawsuit defense, credit card debt settlement, student loan debt, second mortgage debt, payday loan debt, medical debt, small business debt, bankruptcy, foreclosures, credit repair, debt collection harassment, bank levies and wage garnishment, short sales, and wrongful repossession. He welcomes the chance to help his clients understand the choices available to them and give them a life free of debt. Read our debt relief success stories about people just like you who are now living a life free of debt. Our client owed Navient$142,263.75 for private student loans that went into default. The client had a relative willing to help pay a negotiated settlement. We settled the debt for $45,000.00. Our client realized a savings of $97,263.75. Get Debt Help Now, FREE Consultation!